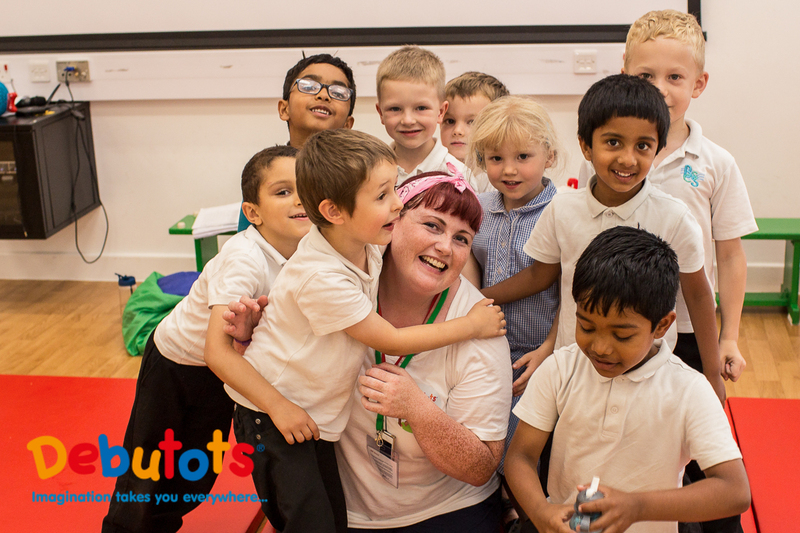 A flexible and rewarding business opportunity where you’re in control of your timetable as you inspire and empower little ones with our original storytelling and dramatic play classes. We are the UK’s premier drama-in-education company working with children aged 6 months – 7 years, running original Interactive Storytelling and Dramatic Play classes expertly created to support National Curricula. Our franchisees benefit from a proven business model that has been operating for more than 10 years. With access to the premium end of the market and their own exclusive territory, current franchisees charge up to £125 per hour and deliver more 40 classes, workshops and parties per week to a diverse customer base. This offers flexibility as to how you want to run your business and from where you generate your income. We carefully respond to demands in the marketplace and produce more revenue streams for our franchisees to benefit from ; most recently this includes Joining Generations with Imagination, our intergenerational sessions. “I was attracted to Debutots because of the exceptional quality of the product, business tools and thorough training; all this and the ongoing mentor support made my investment thoroughly worth it. Even my accountant said the value for money is excellent. I put the foundations for my business firmly in place – within 6 months I was working with 15 nurseries and schools.” Emma Booth, Hull. Debutots Franchisee for 3 years. Comprehensive training and our friendly network ensures you can boldly take that step fearlessly leap into self-employment. You’ll develop your current skills, learn valuable new ones, and have continued support and training, not only from Head Office, but also from our other franchisees who love to share their experiences. We offer the best in house training meaning we recruit people from different sectors. Franchisee’s previous careers include: retail area manager, legal secretary, nursery practitioner, marketing director, teacher, teaching assistant and stay at home mum. A background in, or the confidence to embrace, drama and storytelling is essential to deliver our classes with integrity and inspire the children and adults you will be working with. We’re looking for people who have a genuine desire to build their own successful business within the Debutots franchise model . Our franchisees truly believe in our wonderful and original product and want to share their passion for what we do with their local community. There is only 1 Debutots Franchisee per exclusive territory and the investment fee is currently only £7920 ex VAT. Apply to discover whether it could be you! “My family are proud of the business I have built and I love that I’m setting an example for my kids – it really is possible to enjoy your job! I never thought I’d be one of the lucky people to be able to say that, but I am!” Jennifer, London. Debutots Franchisee for 10 years.